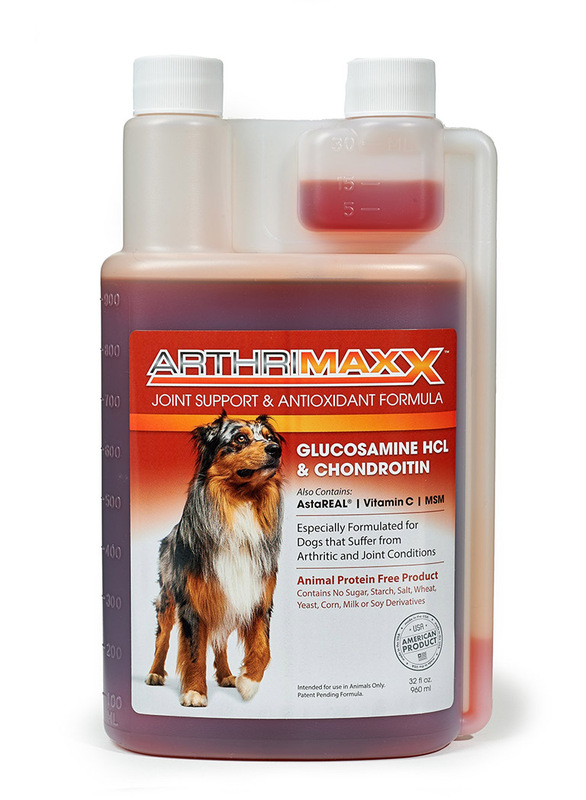 Why choose ArthriMAXX™ for dogs over other joint formulation on the market? 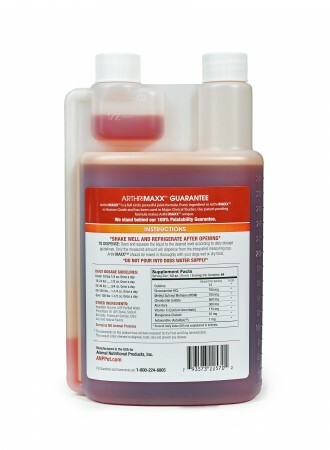 ArthriMAXX™ is perfect for your diabetic and animal protein allergic dogs and cats. 1/4 oz. 1/2 oz. 3/4 oz. 1 1/4 oz. 1 1/2 oz. 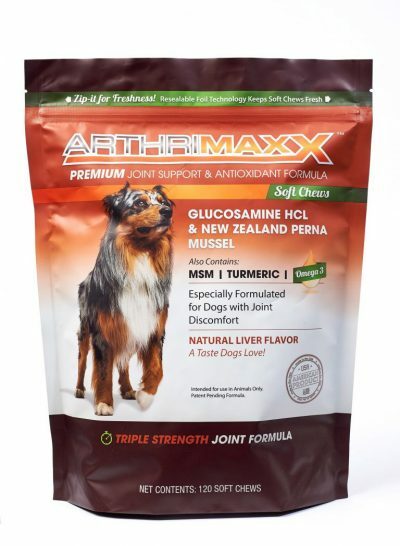 ArthriMAXX for Dogs (per 15ml) 32oz. 5.0 out of 5 starsARTHIRMAXX TO THE RESCUE! Our dog of 8 years old in human years, one morning I went out to feed him only to find him dragging his backside could not walk or lift his backside. We took him to the vet to find he has arthritis. We were given high dollar meds and pain killers however days went by all the meds from the vet seem to do was make him sleepy and sad. I stopped giving him the vet meds! We found Arthrimaxx online read reviews and ordered it. Within one week Bear was walking he could pull himself up off the ground within two weeks he was bunny hopping. It has been a few weeks since ordering Arthrimaxx and Bear is up walking moving and back to himself. This is a good product! I give it to him once a day with his first meal every day. I will reorder this product again when it is time that is to say when what we have runs out. I told my vet about it she had never heard of it but was amazed at the recovery of Bear and recommended keeping him on it as the ingredients were the same as the next steps taken that she was going to give Bear, only a few hundred dollars cheaper?? Praise God for Arthrimaxx. This product does what it states.?? Yes I like the results will keep buying it for Bear our Great Pyrenees in both liquid and I will try the chew pill form as well. And the 800 number support was amazing too, the guy was nice and answered all my questions if you call he may have to put you on hold but that was okay too thumbs up for this product. My dog, Bella, is a 7 1/2 pound MinPin. She is starting to age (currently 8 y.o.) and is suffering from some back problems (disc disease and arthritis). Her holistic vet recommended ArthriMAXX and so far, I am very pleased. I had Bella on other supplements that contained glucosamine and MSM but so far, this seems to be working the best. I admit though, it took her a few days to get used to the taste. I had to combine it with other goodies so it wasn't wasted (it's a bit pricey, but for a dog under 10 pounds, it will last quite a while). Now however, she LOVES this and looks forward to it every night! I still supplement her diet with a probiotic, excellent dry food and the best wet food on the market, but I plan to keep her on ARTHRIMAXX for the rest of her life. Highly recommend this product! My dog (Quantum) developed a limp in his right leg after constant swimming in the ocean and running on the beach on our FL vacation. Our vet thought he might have arthritis and wanted him to take a prescription Veterinary Non-Steroidal Anti-Inflammatory Drug (NSAID) for a couple weeks to see if the problem would resolve itself or if he would need to take x-rays. I read up on NSAIDS and their side effects and decided that I didn't want Quantum to take the risk of having an adverse reaction to NSAIDS so decided to try ArthriMAXX which another vet had prescribed for my cat who had some joint problems in the past. I mixed the recommended amount of ArthriMAXX with his canned food each morning and in a five or six days his limp was gone! As Quantum is a large breed dog, I continue to use this product for him on an every other day basis to keep him in good shape. This is a wonderful safe product that contains the same ingredients (glucosamine and chondroitin) that many doctors recommend for humans with joint pain or arthritis. It also contains Astaxanthin which is a high quality fish oil and great for dogs. After the great success with my big dog, I bought and tried the arthriMAXX chews (same ingredients in chewy form) on my smaller dog who is almost 14 and isn't moving as well as she should. After a few days on the product she was acting like the pesky puppy that she used to be. I was amazed. I don't think you can go wrong with this product to improve your dogs ability to move pain-free as they age! My large dog seems to like the flavor of the liquid better and the smaller dog likes the chews as she thinks they are delicious treats. Two great options for treating joint pain and arthritis. We definitely saw improvement in our 15 year old lab with severe arthritis and we also saw improvement in our approximately 10 yr old lab mix. It's not a waste of money! Works better than any other product we've tried. My trusted vet for 6 plus years suggested this after my longhaired chihuahua had issues with his knees. Another vet (I couldn't get an earlier appointment with our long time vet) suggested surgery but because I wasn't sure it was the best option, I waited and took my dog back to our vet. Are we glad we got second opinion and we trust our vet even more now. My dog has been on this for about 6 months now and he is doing super. after only a few weeks we saw major improvement, he was no longer limping or whimping in pain. Will be buying this as long as my dog is here. Have found that liquid glucosamine is much more available to dogs and this formula has Stevia as the sweetener which makes it safe for our diabetic dogs! We have been using this for our 4 dogs for over several years now. it seems to keep the older dogs strong and pain free enough to exercise far into there teens. I have one full blooded Border collie 15 years, a border collie pit mix 13 years a blue pit 8 years and the daughter of him our puppy Sadie Mae blue pit. we give it to everyone except Sadie May will get hers when she is older. We find it is better to only give once a day just under the 1/2 is the amount we like. We put it in wet food morning time they get there high protein dry food at night. Super cheap here. Unfortunately I can't give an accurate rating because my dogs HATED the taste. I tried giving it to them in a syringe as well as mixed w/their food and they wouldn't touch it. I recently purchased the chewable "nugget" version of this brand and they LOVE the taste of them, so I'm hoping for good results. 5.0 out of 5 starsThis Works!! This product changed my 12 year old's life. She had two lame back legs due to arthritis and needed to be carried with a sling. Definitely a two person job. I was uncomfortable giving her prescription anti-inflammatories because of the side affects so this product was recommended by my vet. The small bottle from the vet cost a fortune but within days she was bunny hopping. About 10 days later she was walking with no limp whatsoever. This is my second purchase and will continue to give it to her every evening with her food. My 13 year old rottweiler-shepperd mix was falling a lot. Sometimes we had to help her get up by picking her up under her belly. I was trying to prepare myself to let her go when I tried this as a desperate last shot in the dark. She's still no pup, but she doesn't fall very often now and she gets up all by herself. She'd been on glucosimine for years and I never expected this to work, but it did. We've got some more time now and I'm thankful. 5.0 out of 5 starsComplete Transformation!!! I've used this product on several dogs to ease there aching joints. Little did I know it literally raises the dead! In one week I saw a noticeable difference in my ex husbands dog, who could hardly get up or walk. We thought he was not going to last much longer. In a month he was going up two flights of stairs and 5 half hour walks a day. I tried this to help my dog with her painful rear legs. after 2 weeks of adding it her food she stopped urinating and would not step outside. SweetPea is 8 1/2 years old and I fear that she was having kidney failure. We stopped the Arthrimaxx immediately,it took almost 2 weeks for her to get back to normal. I am extremely disappointed that along w/the loss of her kidney function it did nothing to help her legs. 5.0 out of 5 starsTry it! 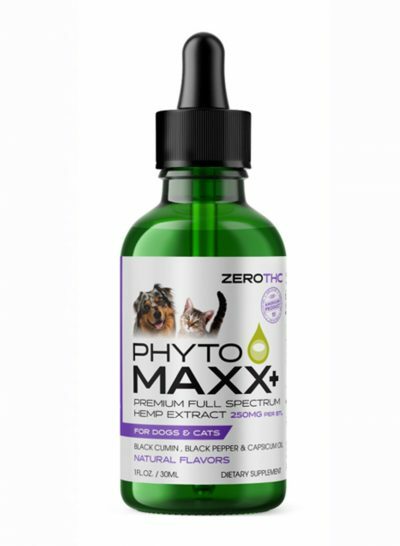 Is it a coincidence that my 13 year old Poodle is doing so much better after taking this product? I don't think so. She feels so much better, and is able to walk around more. Before her hind legs were very weak and gave out often. Of course, she still experiences some set backs, but I highly recommend this product. After reading the reviews, I thought, what did I have to lose? I am so glad I purchased! I have toy breed dogs that have a lot of issues with patella luxation. I use the Arthrimaxx to help the dogs that have a problem, and as a preventative for those that don't have problems. I think it works pretty well. It does not fix a problem that is already in place, but I think it helps lubricate those joints to keep problems from getting worse. I went from using a product Liquid Health K-9 Glucosamine Hip & Joint Formula to this product. This product is more expensive, and it doesn't seem to "cure" my dog of his arthritis as noticeably as the other product. I am probably going to switch back to the other product after this runs out. Also, the liquid is a very blood-reddish color, and since my dog drinks it "straight", this liquid splashes on our kitchen floor. I'm sure it doesn't have to be that color, but maybe they added coloring to it to make it easier to see when measuring. My 14 year old dog's back legs were starting to give out and he was falling a lot so I was desperate to try anything. He seemed much better after I started giving him the ArthriMAXX but I didn't really see the difference until I ran out and didn't order more for a few weeks. He was back to slipping and having shaky back legs. I'm ordering another bottle immediately and won't run out again this time! 5.0 out of 5 starsit really is working! i have an 11 year old, over weight pitbull. he had a fatty tumor removed in back thigh and has had trouble getting around since then. He is on tramadol and meloxicam but since I have started him on arthrimaxx I have seen a MAJOR improvement! it has really put some pep in his step. makes me so happy to see my boy walk better again! 5.0 out of 5 starsA literal life-saver! Our 15.5 year old Shih Tzu went from limping due to arthritis to jogging just after 2 weeks of this product! We add it to his morning meal and he gobbles it down. His limp was so bad previously we thought we were nearing the end with him, but this product turned his (and our) life around. I cannot recommend this enough! 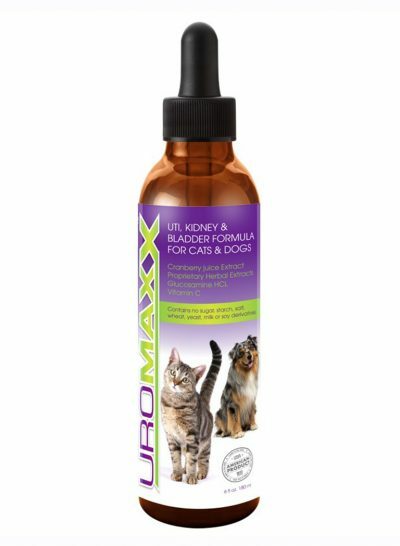 This product really helps my dog; he had to have two knee replacements when he was younger. Now that he's older, we really notice the difference..